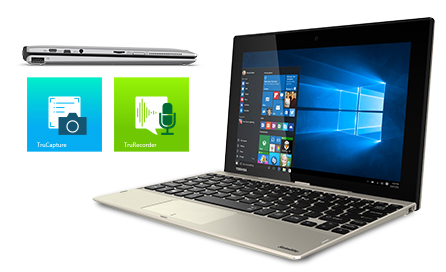 Toshiba Sat Click 10 LX0W 10.1" Full HD Laptop Tablet Intel Atom 2GB, 32GB eMMC. 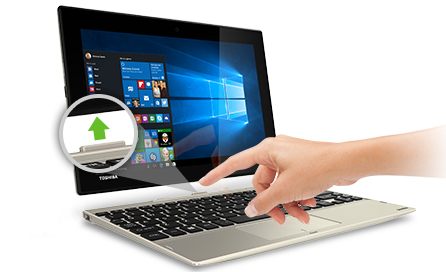 With the detachable, 2-in-1 Satellite Click 10, you can switch between a laptop and a tablet throughout the day with the press of a button and get the best of both worlds. The full-sized keyboard and functional clickpad is ideal for getting work done or chatting with friends, while the tablet mode enables you to browse and share media with ease. Weighing no more than 1.1 kg in laptop mode, or 552 g in tablet mode, the elegant Satin Gold chassis is easy to carry too wherever your day takes you. The Satellite Click 10 features a 25.7 cm (10.1") WUXGA display that offers a Full HD resolution of 1920 x 1200, delivering vibrant clarity and stunning definition, so you see every detail of your entertainment. And with a wide viewing angle of 178°, sharing content with friends is easy. With an outstanding battery life of over 14 hours* in laptop mode, you are free to play or be productive for two working days without the need to charge up. 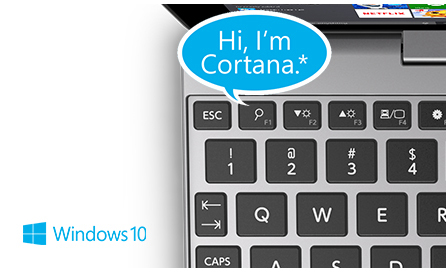 Preinstalled and packed with new Windows 10 features, the Satellite Click 10 offers one key access to the new Cortana* voice-activated digital assistant. And with the Satellite Click 10s dual microphones, your spoken commands are clearer. 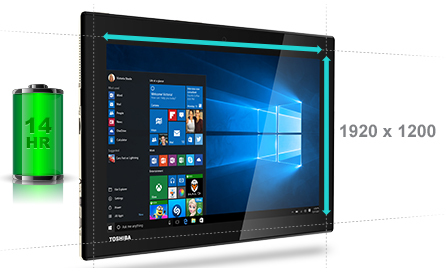 You can even switch seamlessly between tablet and laptop mode thanks to Continuum, the Windows 10 feature that detects whether you're using touch or keyboard functionality, and switches apps and content seamlessly between the two modes.